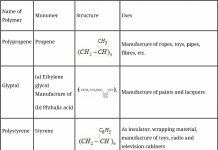 Short run fixed price in product market equilibrium output, investment or output multiplier and the multiplier mechanism. Problems of excess demand and deficient demand. Measures to correct excess demand and deficient demand. Autonomous consumption: The consumption which does not depend upon income. (Or) The amount of consumption expenditure when income is zero. C > 0. Even if income is zero consumption cannot be zero. Consumption will take place from past savings for survival. Autonomous Investments: It is Investment which is made irrespective of level of income. It is generally run by the government sector. It is income inelastic. The volume of autonomous investment is same at all level of income. Determination of income, output and employment is the core of the subject matter of macroeconomics. AD and AS together determine the level of income, output and employment. Aggregate demand is the total demand of goods and service in the economy. Household consumption expenditure is the expenditure incurred by the household on the purchase of goods and services to satisfy their wants. Investment expenditure refers to the expenditure incurred by the private firms and government on the purchase of capital goods such as plant and equipment. Government consumption expenditure refers to the expenditure incurred by the government on the purchase of goods and services. Net export refers to the difference between export and import. In a two sector economy AD =C+I. Aggregate supply is the sum total of consumption expenditure and saving. PROPENSITY TO CONSUME AND PROPENSITY TO SAVE. The relationship between consumption and income is called propensity to consume or consumption function. Consumption function may be represented by an equation. 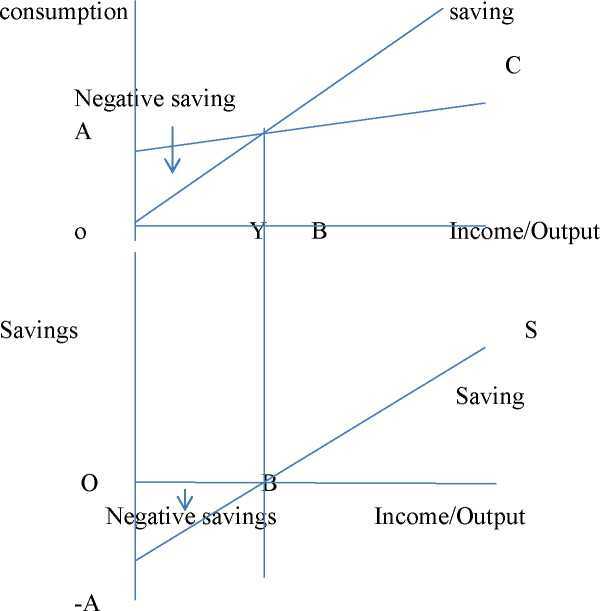 C=consumption, a =consumption at zero level of income b=MPC (slope of the consumption curve) Y=income. The consumption equation shows the level of consumption for various level of income. Marginal propensity to consume (MPC). APC= ratio of total consumption to total income. Propensity to save indicates the tendency of the households to save at a given level of income. It shows the relation between saving and income. Propensity to save is also of two types. Average propensity to save is the ratio of saving to income APC=S/Y. Marginal propensity to save is the ratio of change in saving to change in income MPS=AS/AY. There is relationship between APC and APS. There is relationship between MPC and MPS. Involuntary unemployment refers to a situation in which people are ready to work at prevailing wage rate, but do not find work. Full employment refers to a situation in which no one is unemployed i.e… .there is no involuntary unemployment. According to Keynes full employment signifies a level of employment where increase in aggregate demand does not lead to an increase in the level of output and employment. Increase in demand beyond full employment causes prices to go up. DETERMINATION OF INCOME AND EMPLOYMENT. The determination of income and employment in the Keynesian theory depends on the level of AD and AS. AD=AS 2) Planned saving =planned investment. In a two sector economy Ad=C+I, AS=Y, Y=C+I. Investment multipliers and its working. Investment multiplier explains the relationship between increase in investment and the resultant increase in income. Investment multiplier is the ratio of change in income to change in investment. Multiplier (k) =Ay/AI. The value of multiplier depends on the value of marginal propensity to consume (MPC). There is direct relationship between k and MPC. There is inverse relationship between multiplier and MPS. In the short period price is fixed (constant) and elasticity of supply is infinite i.e., supply curve is perfectly elastic. It means the suppliers are willing to supply whatever amount of goods, consumer will demand at that price. Fixed Interest Rate : Interest rate remains constant. Aggregate supply is perfectly elastic at this price. Under these circumstances equilibrium output will be determined by aggregate demand at this price in the economy. At a fixed price the value of ex-ante aggregate demand for final goods is the sum of ex-ante consumption expenditure C and ex-ante investment expenditure I on final goods. In the short period, price and rate of interest remaining constant i.e., ex-ante Investment expenditure is uniform i.e. same amount every year. we also assume that Aggregate Supply at this cost price is determined by aggregate demand which is known as Effective demand principle. The level of AD required to achieve full employment equilibrium is called effective demand. (or) AD at the point of equilibrium is called Effective demand. Y depends upon A (C (or) I) or MPC. Effects of an autonomous change on equilibrium in the product market. The 45° line represents point at which AD and output are equal. The AD1 line intersects the 45° line at point E1. At equilibrium point the equilibrium values of output and aggregate demand are OY1 and AD1. When autonomous investment increases the AD1 line shifts upwards and assumes the position AD2. 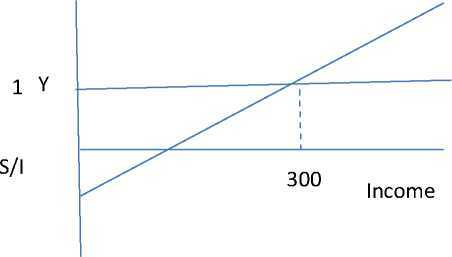 • E1F measures the amount of excess demand that emerges in the economy as a result of the increase in autonomous expenditure: The new AD2 intersects the 45° line at point E2 at the new equilibrium output and AD2 have increased by an amount E2G which is greater than the initial increment in autonomous expenditure E1F. What is the relation between APC and APS? What is the relation between MPC and MPS? If APC is 0.7 then how much will be APS? If MPC =0.75, what will be MPS? State the important factor influencing the propensity to consume in an economy? Ans. The level of income (Y) Influences the propensity to consume (c) of an economy. What is meant by investment? Ans. Investment means addition to the stock of capital good, in the nature of structures, equipment or inventory. What is the investment demand function? Ans. The relationship between investment demand and the rate of interest is called investment demand function. Ans. The equilibrium income is the level of income where AD=AS i.e….AD=AS and planned saving equals planned investment. Give the formula of investment multiplier in terms of MPC. 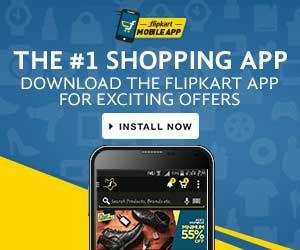 What is the maximum value of investment multiplier? Give the equation of propensity to consume. Write down the equation of saving function? Ans. S= -a+ (1-b) y.  Explain the components of equation c= _a + by. Ans. ‘a’ is called intercept and it represents the amount of consumption when there is a zero level of income i.e. autonomous consumption. The consumption is positive at zero level of income. The coefficient ‘b’ measures the slope of consumption. The slope gives the increase in consumption per unit increase in income. This is called as MPC. Consumption changes by ‘b’ for every one rupee change in income. Consumption changes in the same direction as income. Derive the saving function from the consumption function c=_a+by. Explain the components of S= -a+ (1-b) Y.
Ans. The saving function is S= -a+ (1-b) Y.-a represents the intercept term and it represents the amount of savings done when there is zero level of income. The saving is negative at zero level of income because at zero level of income consumption (a) is positive. Negative saving is nothing but dissaving, this means that at zero level of income there is dissaving of amount -a. 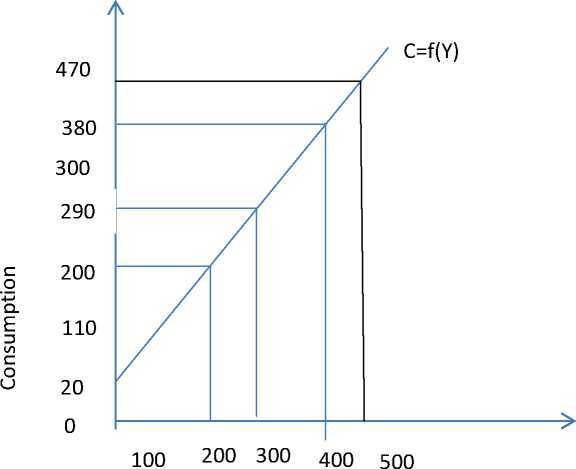 The coefficient (1-b) measures the slope of the saving function. The slope of the saving function gives the increase in savings per unit increase in the income. This is known as MPS. 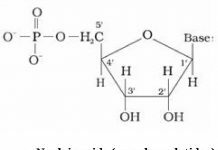 Since ‘b’, that is MPC is less than one, it follows that (1-b) i.e. MPS is positive. Saving is an increasing function of income. Can the value of APS be negative? If yes then when? Ans. The value of APS can be negative when the value of consumption exceeds the value of income. At low level of income saving is negative. Can the average propensity to consume be greater than one? Give the reason for your answer. Ans. APC can be greater than one when the consumption exceeds the income. At that level APS will be negative .when the APS is negative APC will be greater than one. e.g. : if the income is 1000 and the consumption is 1200, APC =1200/1000=1.20. When can the APC be equal to one? Give reason for your answer. Ans. APC can be equal to one when APS =0, i.e when consumption = income. Explain the meaning of investment multiplier? What can be its minimum value and why? Ans. Defined as the ratio of change in the income to the change in the investment. The value of the multiplier is determined by the MPC. It is directly related to MPC. Minimum value of K is when minimum value of MPC=0, the minimum value of K will be unit one. Explain the working of a multiplier with an example. The working of a multiplier can be explained with the help of the following table which is based on the consumption that is, AI=1000 and MPC=4/5. As per the table the initial increase in the investment of Rs 1000 there is a total increase in the income by Rs 5000 given MPC=4/5 . Out of this total increase in the income Rs 4000 will be consumed and Rs 5000 be saved. =1000[1/1-4/5] = 1000×5/1=Rs. 5000 cores. Differentiate between ex ante and ex post investment. Ans. Ex ante is the planned investment which the planner intends to invest at different level of income and employment in the economy. Ex post investment may differ from ex ante investment when the actual sales differ from the planned sales and the firms thus face unplanned addition or reduction of inventories. The equilibrium level of income is determined at a point when AD=AS. Equilibrium can be achieved at full employment and even at under employment situation. It may not be always at full employment condition in an economy. The above schedule shows equilibrium level of income is 300 where AD=AS 300=300. 1. Explain the equilibrium level of income, employment and output with saving and investment approach. What happens when savings exceeds investment? Ans. Equilibrium is achieved when planned saving is equal to planned investment that is S=I. This can be seen with the help of schedule and a diagram. The equilibrium level of income is s 300 core and at this point S (100) =i (100) the equilibrium may necessarily not be at the full employment level. When saving exceeds planned investment means people are consuming less and spending more as a result AD is less than AS. This will lead to accumulation of more goods with producer .this will make the businessmen to reduce production consequently, output, income & employment will be reduced till the equilibrium level of income. 2. Draw a straight line consumption curve. From it derive a saving curve explaining the process. Show on the diagram. The level of income at which average propensity to consume equal to one. A level of income at which average propensity to save is negative. Ac is the consumption curve and OA is the consumption expenditure at zero level of income. Income minus consumption is saving. When income is 0, the economy’s consumption level is OA. The corresponding level of saving is -0A. So -a is the starting point of saving curve. At OB level of income consumption is equal to income, so saving are zero. so B is another point on saving curve . Join A and B and extend this line to S, AS is the saving curve. The level of income at which APC is equal to one is OB. A level of income at which APS is negative OY. 1. If in an economy investment increases by Rs 1000 cores to Rs 1200 cores and as a result total income increases by 800 cores calculate capital MPS. 2. IF in an economy the actual level of income is Rs 500crores whereas the full employment the level of income is RS 800 cores. The MPC=0.75 calculate the increase in investment required to achieve full employment income. Equilibrium level of income = Rs. 400 cr. Explain the components of the equation C= 20 + 0.90 y and construct a schedule for consumption where income is Rs 200 , Rs 300 , Rs 350 and Rs 400. The consumption function is C= 20 + 0.9y. The value of Income is given as 100,200, 300, 400 and 500. Find out the consumption schedule and draw the consumption curve. How is equilibrium output of final goods determined under short run fixed price? In an economy the MPC is 0.95 investment is increased by Rs. 100 crores. Calculate the total increase in income and consumption expenditure. Explain with numerical example how an increase in investment in an economy affects the level of consumption. An increase in investment leads to total rise in national income by Rs. 500 crores. If MPC is 0.9 what is the increase in investment? Calculate. In an economy the MPC is 0.8 Investment is increased by Rs.500 crores. Calculate the total increase in income and consumption expenditure. If in an economy MPC is 0.75 and its investment is increased by Rs.500 crores. saving at Equilibrium level of N.I Consumption function = 200 + 0.9Y Investment expenditure I=3000. Disposable income is Rs. 1000 crores and consumption expenditure is Rs.750 crores. Find out average propensity to save and average represent to consume. In an economy an increase in investment leads to increase in national income which is three times more than the increase in investment calculate marginal propensity to consume. As a result of increase investment by 125 crores national income increased by 500 crores. Calculate multiplier, MPC and MPS. Saving at Equilibrium level of NI. Given below is the consumption function in an economy C=100+0.10Y. with the help of a numerical example show that in this economy as income increase APC will decrease. 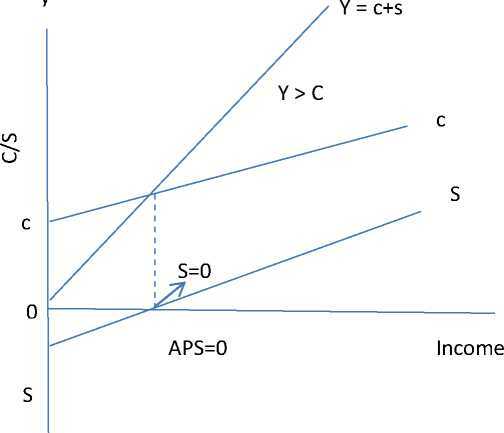 Given below is the consumption function in an economy C=100 +0.5Y with the help of a numerical example show that in this economy as income increases APS will increase.